Microsoft has extended a search revenue guarantee agreement with Yahoo for one more year, amid reports that the Internet company is trying to break its 10-year agreement with Microsoft. 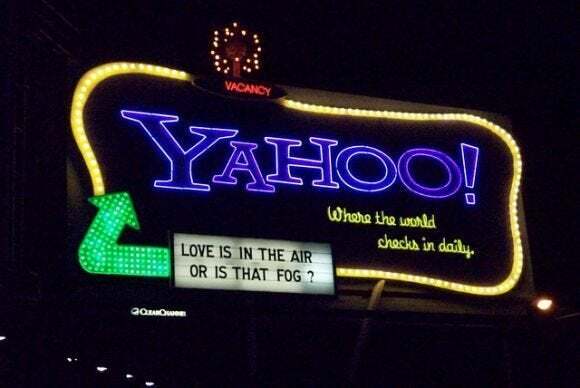 The Redmond, Washington, software company, has agreed to extend the guarantee for an additional 12 months starting April 1, 2013, but only in the U.S., Yahoo said in a regulatory filing on Tuesday. Microsoft had in 2011 agreed to extend the guarantee in the U.S. and Canada through March 2013. Under a 2009 search agreement for which implementation began in February 2010, Microsoft guaranteed Yahoo's revenue per search on its properties for 18 months after the transition of its paid search services to Microsoft's platform in each market, to protect Yahoo from the impact of the transition. It was part of a broader deal by which Yahoo moved its search backend to Microsoft's Bing and its paid search services to Microsoft's platform. The so-called RPS Guarantee was calculated based on the difference in revenue per search between the pre-transition and post-transition periods and certain other factors, as Yahoo transitioned its paid search to Microsoft platforms. "To date, there has been a gap in revenue per search between pre-transition and post-transition periods in most markets and Microsoft has been making payments under the RPS Guarantee to compensate for the difference," Yahoo said in the filing. Yahoo said that in line with the 2009 agreement, it had completed the transition of its search to the Microsoft platform in all markets, and also transitioned paid search in several markets. The transition of its paid search platform to Microsoft's platform and the migration of paid search advertisers and publishers are expected to continue through 2013, and possibly into 2014, Yahoo said in the filing. Yahoo under new CEO Marissa Mayer is, however, unhappy with the progress of the deal with Microsoft and is hoping to end the contract if it finds a way, reported The Wall Street Journal, citing an unnamed source. The newspaper outlined various options for Yahoo, including a mid-term termination of the deal in mid-2015, when either party can potentially opt out. Yahoo and Microsoft were both expecting to benefit from the deal in terms of economies of scale in various areas including backend search technology and advertising. There has been considerable speculation previously that the alliance between Microsoft and Yahoo was in trouble. Mayer, who was formerly a top Google executive, signed an advertising deal in February with Google that would result in Google ads appearing on some of Yahoo's websites.